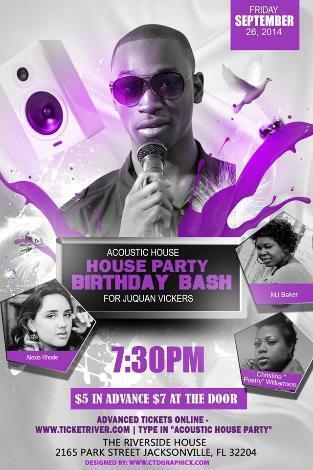 Come out and enjoy a nice evening of food, fun, live acoustic music, singing and poetry as we celebrate the 19th birthday of Juquan Vickers - Acoustic performances by Alexis Rhode, MJ Baker, Christina "Poetry" Williamson and Juquan Vickers! You don't want to miss it - Get your tickets while they last! !